We’ve lost one of the greatest horror writer/directors. Its strange how I was actually writing a Wes Craven piece I was planning on saving for Halloween. Its a great shame the reason I’m posting this article now is due to his recent passing instead. Wesley Earl Craven was born August 2, 1939 in Cleveland, Ohio. Craven earned an undergraduate degree in English and Psychology as well as a master’s degree in Philosophy and Writing. Wes moved into a teaching career and taught English at Westminster College. During his early teaching life, Wes purchased a second-hand 16mm film camera and began making his own short movies. He got his first real film-making job as editor on You’ve Got to Walk It Like You Talk It or You’ll Lose That Beat (1971). 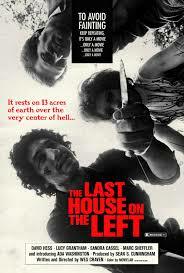 Wes Craven’s first feature film as director was The Last House on the Left which was released in 1972. The film was a moderate success despite of its infamous controversy. The film made a huge impact upon release and gave Wes the opportunity to ply his trade and cement himself as a genuine horror film-maker. Though it would take 5 years for Wes to make his next and equally as impactful next full feature film. The Hills Have Eyes was relased in 1977 and again was a success for Wes and today enjoys a large cult following. 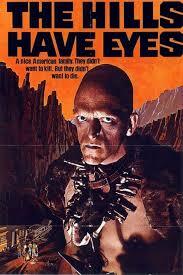 Craven even made a sequel, The Hills Have Eyes Part II, in 1985, but he later disowned the picture. Through the 70s and early 80s, Wes enjoyed a steady film-making career with both theatrical as well as TV movies, with films like; Stranger in Our House (1978), Deadly Blessing (1981) and Swamp Thing (1982). However it was the year 1984 that would see Wes bring his most famous horror creation to life. 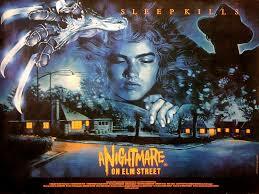 A Nightmare on Elm Street was Wes Craven’s masterpiece of horror. Drawing from real world events and even basing the iconic Freddy Krueger on a kid who used to bully Wes at school as well as a tramp that lived near his childhood home…yes in a roundabout way, A Nightmare on Elm Street is based somewhat on fact. This film also launched the career of some unknown actor called Johnny Depp. Wes Craven created a monster…really he did. The Nightmare franchise spawned many, many (too many) sequels, several spin-offs, it’s own TV show and even a 2010 remake…with another reboot announced recently too. It wasn’t the heroine of the film that became the fan favourite. It was the villain Freddy Krueger who went on to become a pop culture icon. A Nightmare on Elm Street was a runaway success and opened several doors for Wes Craven as a film-maker as well as it being the one film that saved production company, New Line, from bankruptcy. Wes Craven stuck to his love for the horror genre through the 80s and 90s making films such as; Deadly Friend (1986), The Serpent and the Rainbow (1988), Shocker (1989), The People Under the Stairs (1991) as well as the massively underrated and very cerebral sequel; Wes Craven’s New Nightmare (1994). In 1992, Wes also directed and produced the TV show; Nightmare Cafe. Wes film-making career got a huge boost in in 1996 thanks to a meta, self-aware slasher flick. Scream was an interesting and quite risky film that decided to breakdown and reconstruct the clichés of the horror/slasher film. It was made at a time when this genre was all but dead on its legs, it took several brave and bold moves by making fun of the very genre it was trying to reinvent. The received several awards and award nominations following its release, including the Saturn Award for Best Actress, Best Writing, and Best Horror Film. 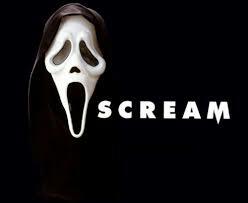 Scream went on to become its own franchise with 3 sequels relased in 1997, 2000 and 2011. As well as spawning its own TV series, which Wes was Executive Producer on in 2015. He also directed the massively overlooked 2005 thriller, Red Eye. 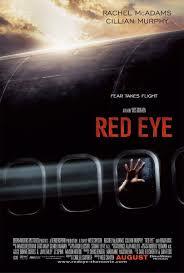 Red Eye is a brilliant and tense thriller that I only recently discovered myself. But if you enjoy a suspenseful and well directed film, then I do strongly suggest you give this film a view. I’ll just leave it at that as this is a film best not spoilt beforehand. When Wes wasn’t writing/directing/producing, he would often make the odd cameo in other productions appearing in; Body Bags (1993), Jay and Silent Bob Strike Back (2001), The Tripper (2007) and Diary of the Dead (2008). Wes even designed the Halloween 2008 logo for Google. 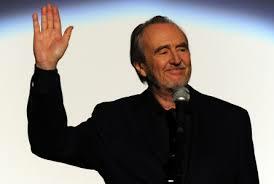 In 2012, the New York City Horror Film Festival awarded Craven the Lifetime Achievement Award. 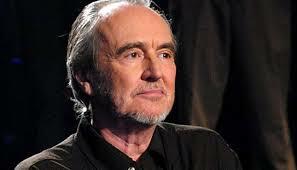 Wes Craven died of brain cancer at his home in Los Angeles, August 30, 2015. He was 76 years old. You will be missed Wes, thanks for the nightmares over the years. 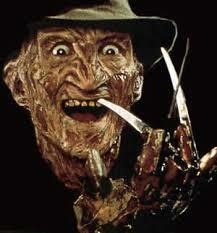 I also take a look at Wes greatest creation, the character of Freddy Krueger. This entry was posted in LBoM: In Memorandum and tagged A Nightmare on Elm Street, LBoM: In Memorandum, little bits of movies, The Hills Have Eyes, The Last House on the Left, Wes Craven on 01/09/2015 by Steve Perrin.